Learning a new language is an incredibly rewarding experience. Not only does it benefit brain health, it opens doors professionally, while at the same time bringing you closer to different cultures and people. And then there’s school! Chances are high you’re learning a second language there and in most cases it’s Spanish. Or maybe you finished high school and can’t remember a single word you learned back then. Thanks to the internet and technology breakthroughs, you can learn a language just by downloading an app. So without further ado, here are the best apps you can find for learning Spanish in 2017. Although StudyBlue isn’t specifically a language app, it can be of huge help during the learning process. It digitizes flashcards so you have access to them across multiple devices such as your phone, tablet, and computer. What I find practical about this app is that you can use it to read flashcards you’ve created even when you’re offline. With this app, you can share flashcards with your friends, classmates, whoever you want. Also, the app allows you to take quizzes based on the information you enter, so you can test your knowledge to check the progress you’re making. The app is available for both Android and iOs devices. Duolingo makes it easy for you to start learning a new language and it is particularly beneficial for people who are just starting with Spanish. Basically, you just need to download a free app, choose the language you want to learn (in this case Spanish) and the course starts immediately. Although you don’t have to create an account to start I find it more practical to do so because you can track your progress that way. Learning with Duolingo starts with texts, pictures, and audio whose purpose is to associate the sound of the translation with visual clues such as text and photo. Then, you manually translate the audio to your own language, thus helping reinforce new words. Every task you complete leads to another one and with regular use you can improve vocabulary and create sentences easily. Duolingo is available for Android, iOS, and Windows Phone devices. Learn Spanish Podcast is ideal for visual learners. The app features videos in Spanish at every level from beginners to advanced. 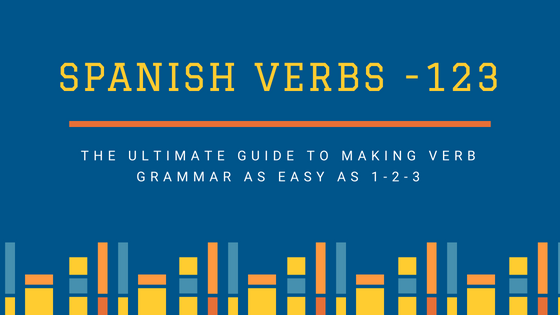 Beginners start by learning a verb of the day and videos resemble those for children (which isn’t such a bad thing), while intermediate and advanced level videos cover everyday Spanish conversations. Learn Spanish Podcast also provides explanations for grammar rules. The feature I like the most is that you can choose Spanish for Holidays or Spanish for Travel. If you’re about to travel to a Spanish-speaking country, this section features videos that can truly help you on your journey. The app is available for Android devices. Memrise is one of the most popular apps for learning a new language. I find it easy to work with this app and it supports offline courses, which is always practical. With Memrise, you can start learning Spanish from zero or you can skip to more advanced levels. The app takes a unique approach to helping you learn new words by putting them into sentences with similar sounding words from your language. Why? This practice allows you to form connections between those words in your mind and you remember them easily. You can download the free app to Android or iOS devices. Yes, Overdrive can help you learn Spanish! You can use this platform to download e-books and audiobooks to read or listen on your phone or some other device. What I particularly like about Overdrive is the access to digital library resources to borrow books in the same way you would in an actual library. Use the platform’s extensive database to find books that will help you learn Spanish. For instance, to improve pronunciation you can opt for Learn in Your Car: Spanish series. Listening to audiobooks is a great way to learn a new language. You can do it anytime, anywhere, even when you’re jogging. Instead of turning on your playlist, just listen to these lessons and courses instead. Opportunities are endless here and the best thing of all, Overdrive is available across iOS, Android, Chromebook, Windows 8 & 10, and Kindle Fire HD. Also, you can download it to your desktop on Mac and Windows. Busuu is an easy-to-use app that provides full language courses and conversations with native speakers to help you learn Spanish (or another language) faster. The app allows you to learn new language anytime, anywhere, and you can do it even when you’re offline. The app teaches you Spanish by displaying words and phrases both individually and in sentences. This allows you to learn the meaning of a word in context. As you’re progressing from one level to another, the app tests your knowledge using fun quizzes. Busuu is very flexible and it’s easy to accommodate to your schedule: 10 minutes every day is all you need. The app is available for Android and iOS devices. FluentU is a truly unique app that uses real-world videos (commercials, news, music) and turns them into a fun language learning experience. While many other apps for learning languages take a scripted approach, FluentU helps you ease into both Spanish language and culture gradually. The goal here is to end up speaking Spanish just like it is spoken in real life. Unlike many other apps and platforms that take a textbook-like approach to learning a new language, FluentU gives you an opportunity to learn through rich and engaging experiences. It makes the learning process fun and sets you up to have a decent conversation with a native speaker. The app features a multitude of videos covering different topics from sports to TV shows, arts, and entertainment. I find it useful to download audio files from the app so I can listen and repeat when I have no internet access. FluentU is available for iOS devices. This is yet another unique app for learning Spanish. As you’re already aware, almost all platforms and apps focus on teaching Spanish through English. Rosetta Stone is different because it teaches you Spanish through Spanish itself. Basically, to help you learn this language, the app is trying to teach you the way you’d learn it if you were a child. All phrases, audios, and other content are in Spanish, not English. Before you dismiss this app thinking “well, how am I supposed to learn anything then?” bear in mind this approach is incredibly effective. Rosetta Stone provides an immersive experience. When trying to say something in Spanish, you usually create a sentence structure or think of some word in English first. This app is trying to help you think in Spanish. Rosetta Stone also allows you to schedule lessons with a native speaker tutor. The download is available for iOS and Android devices. Learning a new language isn’t always the easiest thing in the world, but you can make the entire process significantly easier with different apps. Throughout this post, you’ve seen eight amazing apps that can help with the learning process in one way or another. All you have to do is to download the app (or apps) you find most beneficial for your needs and preferences and start with Spanish lessons today. Lucy Benton is a writing coach, an editor who finds her passion in expressing own thoughts as a blogger, and currently works at Assignment Helper. She is constantly looking for the ways to improve her skills and expertise.